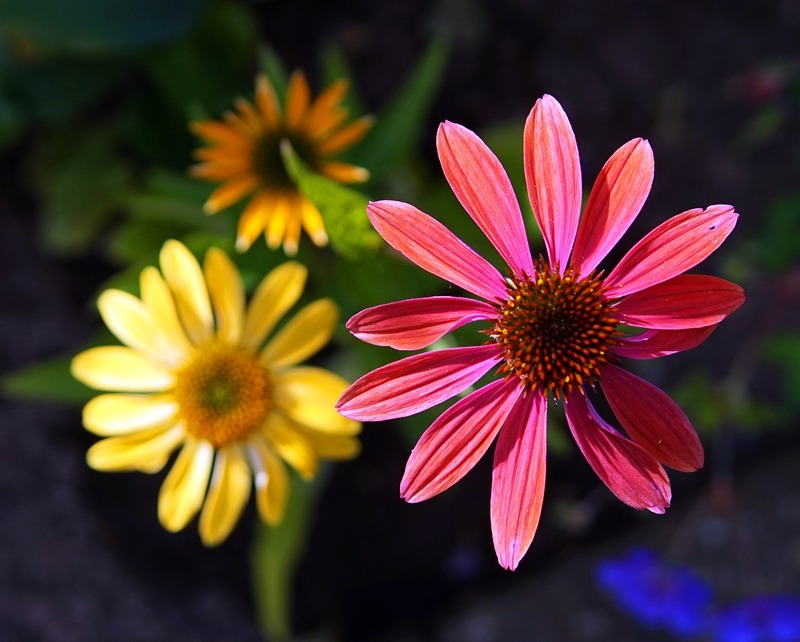 Echinacea is a stunningly colorful flower that is used to brew teas and as part of natural remedies. It has very few side effects aside from allergic reactions and is easy to brew right in your own home. The vibrant petals, sturdy roots, and leafy green parts of the plant all make herbal remedies and delicious tea concoctions. Learn more about echinacea, its health benefits, and how you can brew a delicious cup using fresh or dried plant parts from homegrown echinacea plants. 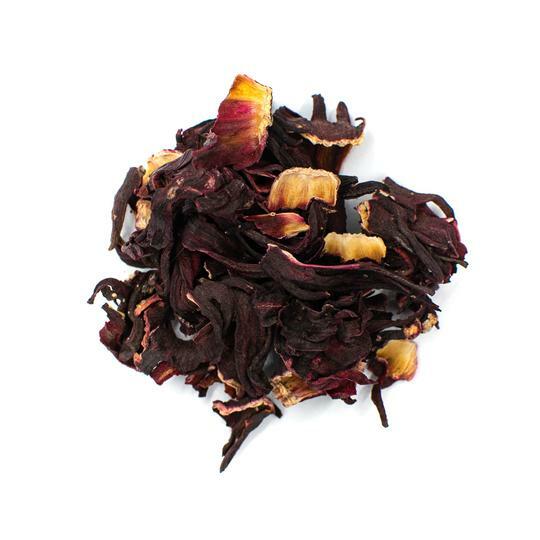 Echinacea tea, also known as the purple coneflower, is a delicious herbal tea made from the echinacea plant. There are a variety of echinacea plants that can be used to brew tea including Echinacea purpurea, Echinacea angustifolia, and Echinacea pallida. The perennial flower is native to eastern and central North America but can be grown in temperate climates where the plants receive at least partial sun. Today, the plants are commonly grown in gardens in Europe and Asia as well. Echinacea tea can be made using a variety of plant parts from the echinacea plant including the roots, leaves, flowers, and stems. The purple flowers and roots are most commonly used to brew teas. 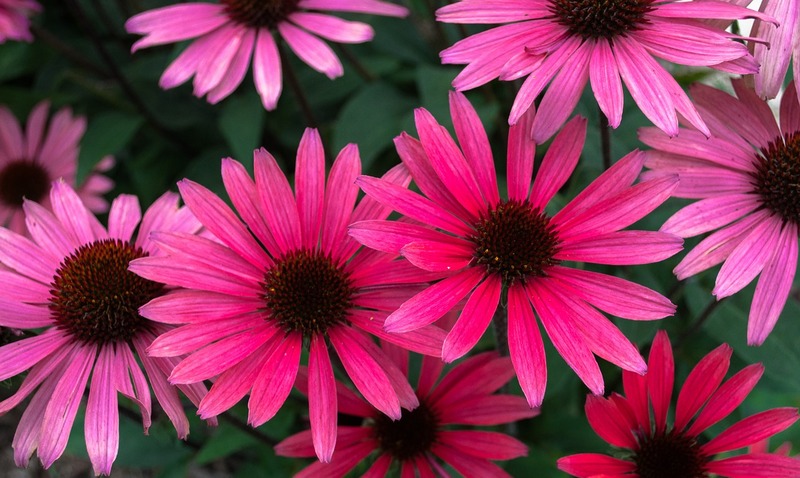 Echinacea has a sharp flavor similar to pine with a powerful floral note. It features a soft body with a refreshing finish and is often described as similar to meadowsweet. Pair it with a dash of honey or add in lemongrass or mint to play up the flavor profile. 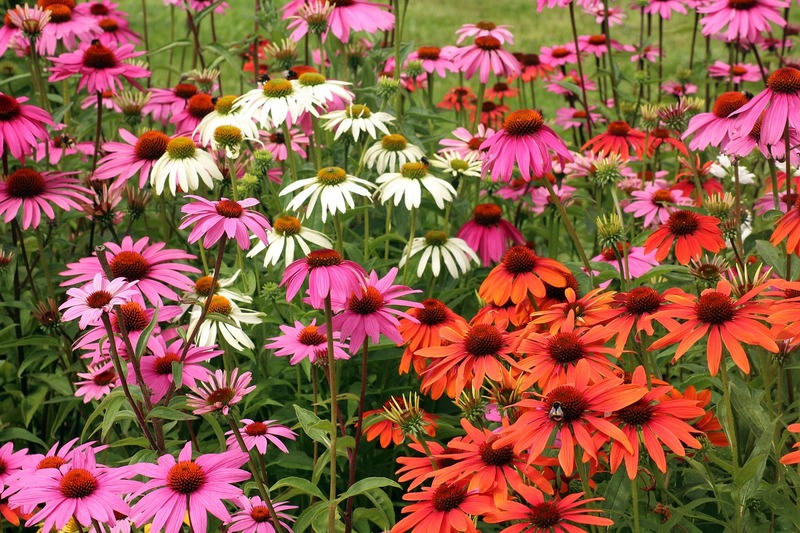 Echinacea was first used by Native Americans as a herbal remedy to cure illnesses and soothe skin disorders. It was used by tribes to treat snake bites and fight infections. Today, one of the most widely recognized health benefits of echinacea tea is its ability to help treat common cold symptoms. Echinacea has anti-inflammatory properties that help to reduce swelling and irritation, which may help alleviate the feeling of a sore throat. This tea also helps boost the immune system thanks to antioxidants that help eliminate free radicals and stave off infectious bacteria. Consuming echinacea can be good for overall health and keep you in top form all year long. 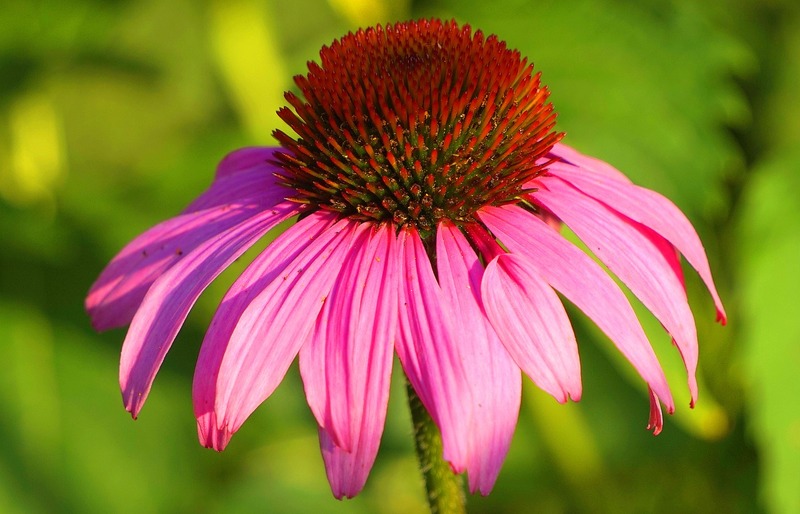 Echinacea can also fight off infections including vaginal yeast infections, urinary tract infections, and ear infections. Echinacea tea contains caffeic acid, which has been shown to have antimicrobial properties (1). 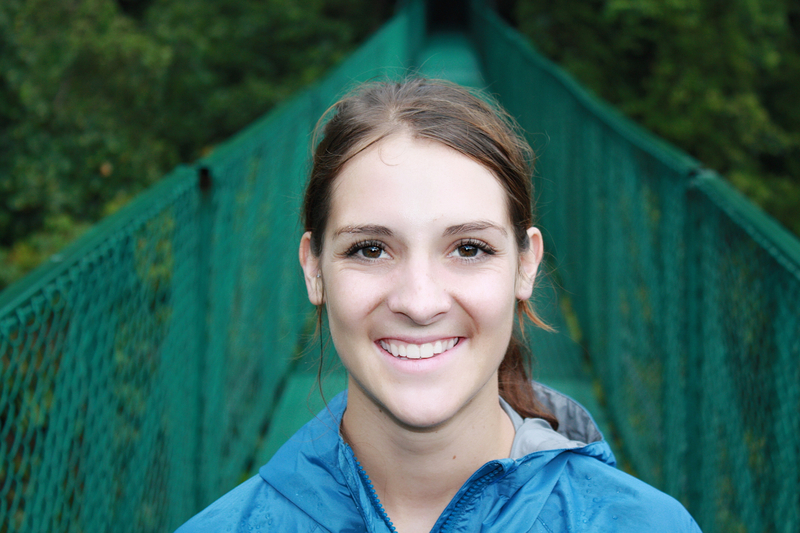 Polysaccharides in echinacea ta also work to prevent harmful cells from replicating and spreading infection. These chemical compounds may also increase the production of white blood cells, which are the body's natural defense mechanism against infections. Another medicinal property of echinacea tea is its ability to alleviate pain. A study published in Natural Product Research found that a combination of echinacea and ginger helped to alleviate joint pain in knees (2). The supplementation worked by reducing inflammation. The essential oil and fragrance of brewed echinacea tea can help improve mood. The aroma triggers the production of the happy hormone known as dopamine. It can also decrease cortisol levels, helping to reduce stress and encourage an uplifted frame of mind (3). 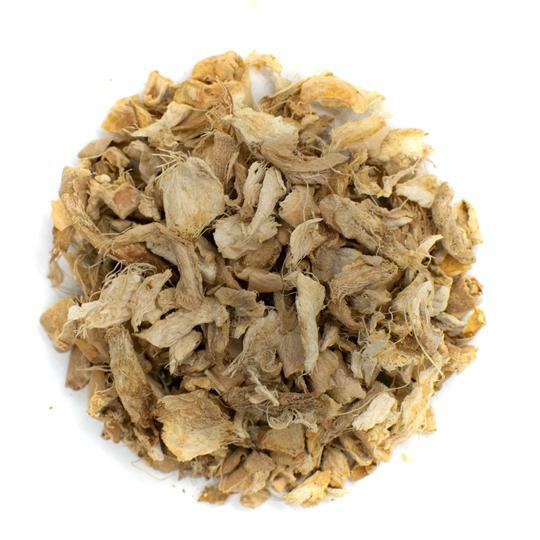 Echinacea tea can be made from the echinacea root or flowers of your garden plant. You can use fresh flowers, leaves, stems, and roots, or dry a batch to always have some on hand. 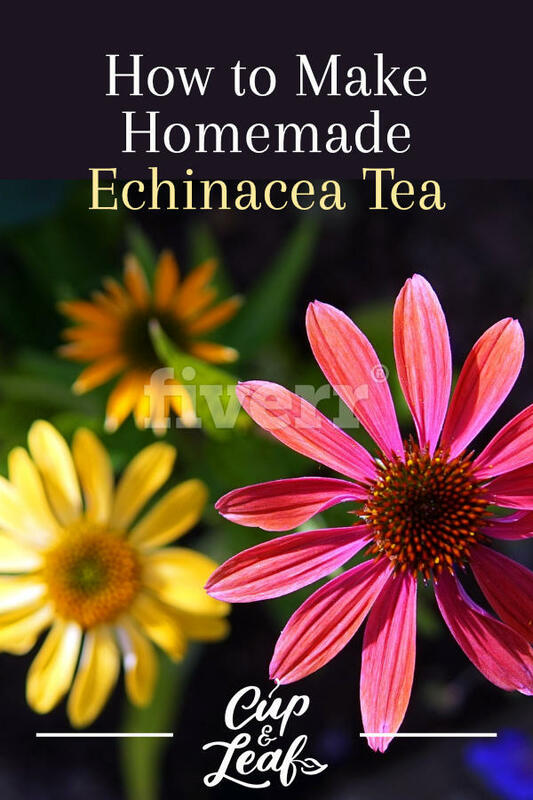 Here well give you a basic recipe to brew echinacea herb tea at home. Echinacea flowers should be harvested just after blooming season has begun. Trim the blossoms at the base of the stem just above the first set of leaves. This will encourage new growth, amplifying your harvest each year. Don't use seed heads as they won't provide proper flavor when infused in hot water. If you want, you can use the freshly harvested flowers to make tea. If you prefer, you can also dry the echinacea flowers. Simply lay them flat on a bamboo mat or hang them from a clothesline. If you choose to hang the flowers, place a table or blanket underneath the catch the petals as the fall off the stems. The same can be down using the roots and leaves of the echinacea plant. Once the flowers petals, roots, or leaves have dried it's time to store them in an airtight container. Store in a glass jar or other non-reactive container and keep in a dry place. A dark place such as a cabinet or drawer is the best option to prevent the plant material from losing flavor. 1. Bring water to a boil using a stove-top pan or a tea kettle. 2. Once boiling, turn the heat down to medium and add in the echinacea. 3. Place a lid on the pot and simmer for 5 to 10 minutes. If using a tea kettle, simply pour the boiling water into a teacup and add the echinacea to a tea ball or tea infuser. Steep for 5 to 10 minutes. 4. Strain the loose flowers, roots, or leaves from the pot and pour into a teacup. It using a tea ball, simply remove and discard the echinacea. 5. Add flavorings or sweeteners such as honey and lemon if desired. Enjoy! Echinacea offers a variety of medicinal benefits along with enveloping flavor that is sure to make it one of your favorite herbal teas. Opt for homemade echinacea tea from fresh plants in your home garden or purchase a loose leaf variety for quick and easy brewing. 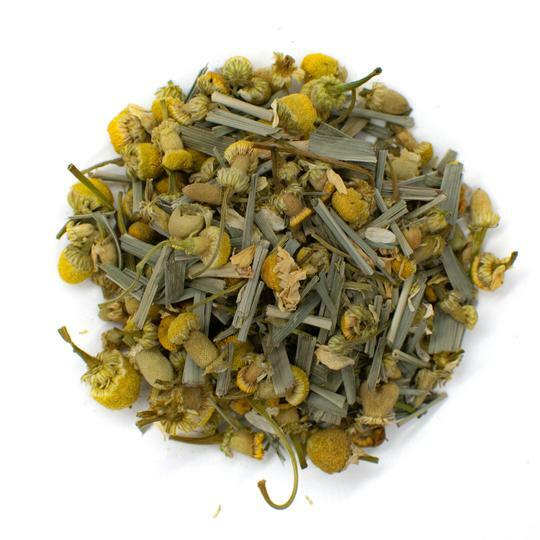 Echinacea tea offers a variety of options from dried root tea to fresh echinacea tincture.